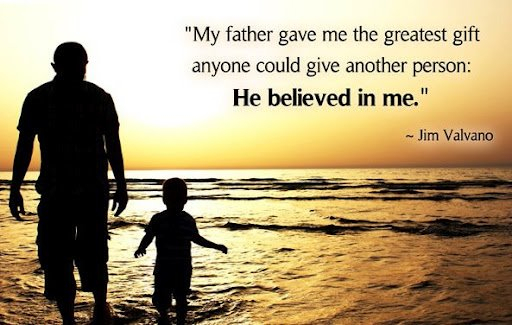 “My father gave me the greatest gift anyone could give another person: He believed in me.” ~ Jim Valvano | Gurly's collection of quotes, notes & video's made by great people who have been sharing their enlightenment through their words and actions. Gurly's collection of quotes, notes & video's made by great people who have been sharing their enlightenment through their words and actions. Feel free to share or comment on my collections of quotes, notes, coaching and mentoring.. This entry was posted in Life, Love, Quotes and tagged Believe in another, Believe in yourself, Gift, Jim Valvano, Quotes by Gurly Hafsmoe. Bookmark the permalink.